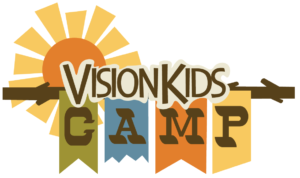 This summer we will be taking our students to Vision Kids Camp held right here in Huntsville at Vision Retreat Center down Hobbs Island Rd. Our desire is for students to experience a first-class camp where they will enjoy Bible studies, recreation and worship services. The first fundraiser will be our annual valentine banquet on Saturday, February 10th. Students will need to wear nice clothes and be at the church no later than 5:00 pm and will need to remain until the fundraiser is complete. They will help with set-up, some food preparation, waiting tables and clean-up. Students will need to have their own ride to and from church. We hope that we will be able to raise all the funds needed through this one fundraiser, however if needed we will hold another and will get the information out to you. Amount raised from the fundraiser will be divided among those who participate. Any balance not raised will be due Wednesday, June 20th. We will be posting more information here soon.